We’ve generally liked Lenovo’s IdeaPads over the past few years, as they have expanded from an Asia-only niche to Lenovo’s “consumer” products across the world. One of the early Y Series, the Y650, was a particular triumph in design and quality. We also really liked the Y450 quite a bit, but the Y460 falters a bit in carrying on the torch. The design is a bit lackluster compared to earlier IdeaPads, though to be fair that is entirely subjective. What does come across as very disappointing is the mushy keyboard, coming from someone who is spoiled by ThinkPad keyboards every day. Given it appears to be the same chassis as the Y450, Lenovo also did not introduce a significant refresh that would allow for a larger battery. Unfortunately all of the Y Series are hindered by 6-cell batteries with no option for greater capacities. 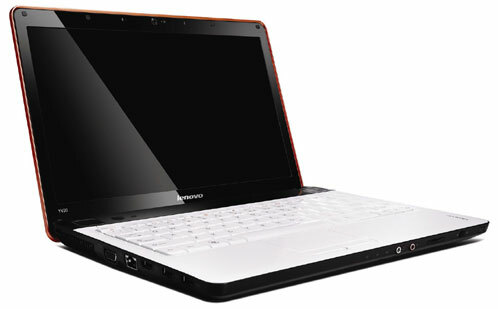 Priced around $1000, depending on configuration, the IdeaPad Y460 is definitely a premium offering. The technology inside it is competitive for the price range, with 4GB RAM, 500GB storage, and 2010 Intel Core processors on every model. The features are strong as well, with nearly every connection you could need. You can even get one model with a Blu-ray drive. Unfortunately the devil is in the details, as the mushy keyboard and mediocre battery life should make you carefully weigh the Y460 against other options like a better priced IdeaPad, competing models from HP and Dell, or even a ThinkPad T410 which runs in the same price range. For mobile gaming enthusiasts the market is starting to become loaded with different options. Right now one of the most popular systems is the Alienware M11x which holds its own for most games, but is still underpowered in the CPU department even with its latest assortment of low-voltage Intel Core processors. The Lenovo IdeaPad U460 gives you the power of a 2.4GHz Intel Core i5 processor and an ATI Radeon 5650 dedicated graphics card in a system weighing less than 5lbs (about a half a pound heavier than the M11x). Gaming performance was outstanding with the Radeon 5650 graphics, handling Left 4 Dead 2 with the settings maxed, and still getting framerates above 60FPS. Synthetic performance was also quite high, well above other similarly sized systems. When not gaming the system gets about five hours of battery life when switched into integrated graphics mode, which is pretty good for a 14-inch notebook with a six-cell battery. 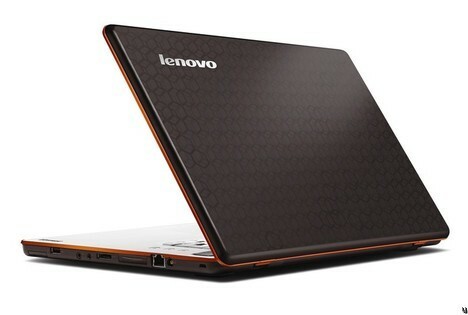 Overall for the current $999 street price we couldn’t be happier with the Lenovo IdeaPad Y460. Lenovo's IdeaPad line of consumer-targeted laptops is a far cry from the traditional dry ThinkPad business systems the company is known for. We'd go so far as to call the IdeaPad brand highly underrated, as the designs are among the snappier we've seen from any major PC maker, even if they tend be a bit on the pricey side. Lenovo's 14-inch IdeaPad Y460 is a well-designed gaming/multimedia laptop--but in this price range, the competition is also bringing its A game. A great compromise between power use and performance, but a compromise nonetheless.